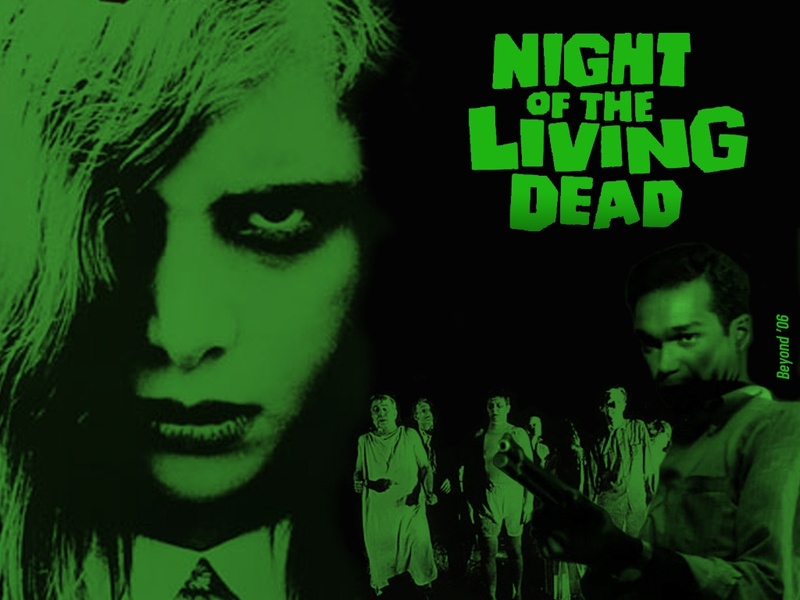 As part of our Horror Flick month, we are devouring zombie movies left and right. 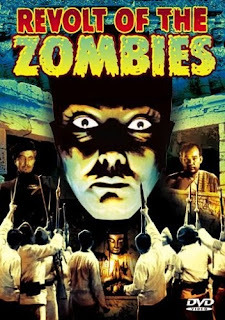 We started out with some really old ones, like Revolt of the Zombies, in which the Zombies weren't actually evil, or reanimated dead, but rather men who were in a trance and controlled by a man who performed this ancient ritual. It was also a love story. It's been so much fun to see the really old zombie movies like this and see where some of the origin stories come from, and stuff. In this movie, the zombies who were under the trance were alive, but they also weren't phased by things like bullets in the middle of a war, and the generals were trying to figure out a way to use them to a strategic advantage. There's oh so much more going on in the movie than I can really tell you here, but it was oddly really cool to watch. I mean, we're talking a movie from 1936 here. And I have to say, overall, it was really impressive. It took a little while to get into it, and the beginning plot threads were a bit hard to follow, but overall, it was really quite an enjoyable movie. From there, we tried to move on to White Zombie, but we were bored, lost, and irritated by the soundtrack within the first five minutes. We stuck it out about 15 minutes and called it quits. But, since we were seriously burned by the awful Japanese Zombie flicks we tried to start our awesome Zombiepaloosa from, we weren't taking any chances on sitting through the rest of a movie that sucked again! this gruesome tale of the dead coming back to life, we have a great undead origin story of radiation from space dispersing over the earth and reactivating the dead brains of corpses. Now, these are not your ordinary reanimated dead! They use tools, they open doors, they are far more cognizant of human capabilities than many of the undead creatures that we see in today's zombie fiction. They move pretty slow, but can attack quickly. One of the best parts of this movie is the humanity, the characterization, of the people under attack that develops. The second best part is that the black guy isn't the first to die! As a quintessential horror movie, that kind of breaks the mold, which I love. Unfortunately, "the black guy dies first" is such a horrendous horror movie trope that I wish would die, and it's good to see that even in the 60s, this wasn't the norm. It's a great horror movie, with a few jump scares, but an unpredictable plot line, great characterization, and some really creepy scenes! Oh, and oddly enough, zombies aren't just after your brains in this movie - they're real flesh eaters. It's all around a great horror treat, without any romance to speak of, but that's okay, because trying to force a romance into this movie would have sucked. A lot. :-) Probably should've saved that line for my special on vampires, huh? Oh, well.